Google Maps is an incredible service for traveling by car, train, bike or even walking. But there are many alternatives to it in the Play Store, some of which incorporate more advanced features or more accurate information. You're probably already familiar with Google Maps' array of features, but the best navigation and route planning apps we have below bring something different to the table in one way or another. Formerly known as HERE Maps, HERE WeGo, is an excellent choice if you need a more robust offline mapping and navigation experience. It's far more like an all-singing, all-dancing navigation app like Google Maps, rather than a single-focus app like Citymapper or Waze. What it ends up offering is a great experience for people that sometimes need in-car navigation and at other times need transit directions. Also like Google Maps, it'll let you book a taxi (or check out nearby car clubs) directly within the app - it's particularly handy for public transport as it shows the total cost of your chosen route before you depart and gives you notifications of each aspect of your journey as you progress. Some users have reported that POI data can become out of date quickly, showing shops that have long-since closed down, for example, but the option to download maps for more than 100 different countries for offline use still makes HERE WeGo a solid choice for anyone that needs that as a priority. The UI is also pretty well thought out and easy to use, too. MapFactor is the first option in this list to present the ability to use maps provided by OpenStreetMap (OSM) rather than commercially available options, though it does also give you the option of using the map with TomTom data instead of the open-source version. To do that, you'll need to pay for a map download though, and if you do that, there's not a lot of reason not to go for the more fully-featured options in this list. So, sticking with the free OSM mapping options, MapFactor provides more than the basic navigation and turn-by-turn functionality you'd expect of any mapping app and allows you to customize many aspects of the experience, such as the color theme for the map, which method of transport you're using and many more. However, you'll need to pay for certain features, regardless of which map platform you choose while setting up. 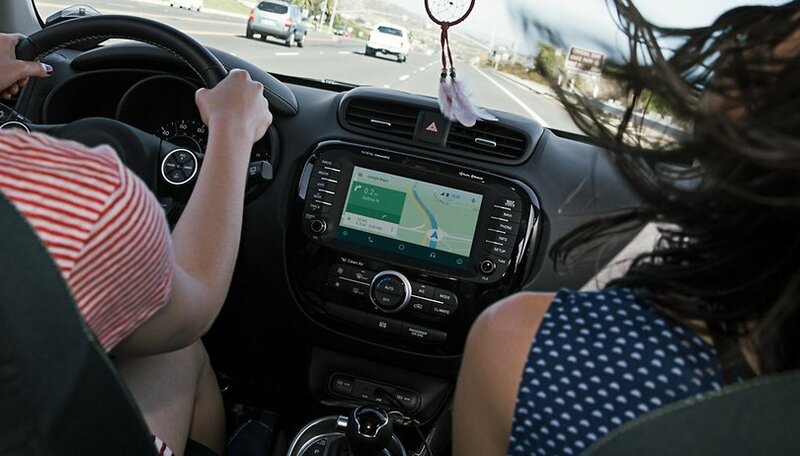 For example, if you want a heads-up display of your navigation on your windshield, that'll cost you, and if you want the ability to choose between three different pre-planned routes, that's also an added charge - the benefit with MapFactor, however, is that this then allows for offline routing options when you don't have data. It's certainly nowhere near as well designed or easy to use as some of the alternatives, but if you're an OSM fan, it's a good option. You will have to put up with ads unless you pay to remove them though. When you first launch Maps.Me, rather than make you select which map and region you want to download, it just starts downloading the map for your current location automatically. Once done, you can use the search and navigation functions without needing an active data or Wi-Fi connection, and it provides you with its wealth of functionality for free and without displaying ads, which is a major bonus. The map itself, and rest of the app's UI is well-designed - certainly a leap above MapFactor - and clear to glance at for your next instruction, which is particularly welcomed in a busy urban environment. You can also bookmark routes for later, browse from a robust list of POIs and activate a 'Recent Tracks' mode that will show where you've been for the chosen period of time - between one hour and one day. It's certainly not as fully-featured as something like CoPilot - there's a night mode, but you won't find the ability to change themes, for example. But again, it's free. Waze is another Google-owned mapping and navigation app with some serious skills, but it takes an entirely different approach to the company's flagship map app, as it crowdsources all its data and relies on a community of users to keep it up to date with relevant information. That info usually takes the form of giving you plenty of advance notice of delays to your route (and rerouting where necessary) caused by things like roadworks, heavy traffic, accidents and more. As a user, you can also report police speed checks along a route. Naturally, there's a whole bunch of different POIs you can check out or search for along a particular route too, and there's a fun points-based gamification aspect to it that gives you points for reporting hazards and other delays for other users to be aware of - it encourages you not to do that while driving though, obviously. If you're stopped in traffic, it's less of a problem. It also integrates with Facebook, allowing you to send easy ETA updates, or live route tracking, to any of your contacts. In our experience, Waze's real benefit lies in its crowdsourced data, which can result in some much quicker routes if you're driving around a densely packed town or city. It makes a little less sense in more rural locations, however. One aspect where Waze falls down, however, is its offline abilities - you'll need to plan your trip while you have a data connection, and then stick to the route you're given. It's only for drivers too, really. It's not going to be anywhere near as useful as a pedestrian map. If you're a driver, or out in the countryside, there are better options than Citymapper, but if you're living in a town or city that it operates in, it's an invaluable resource for public transit trips. It'll show you the approximate cost of an Uber to your destination within the app too. It'll show routes for any type of public transport available, indicating when the next train or bus is due, any delays along the planned route and how much the trip will cost. With a focus on a simple, easy to use design, Citymapper is highly recommended for when you just need an easy way to get from Point A to Point B. Have we missed your favorite off? Let us know in the comments if you know of a better GPS or navigation app. This article has been rewritten since first publication. Comments below may not reflect current content. We had the WeGo HERE installed but I was not happy because the map did NOT turn if I turned the phone too (in the filming presentation it rotates!). I also expect the interface to be more enjoyable and the maps are quite large as the size of the files. My favorite application is Waze. Or Google Maps, they use both in different situations. While I use Google Maps (for Satellite and Streetview mainly) on wi-fi it's pretty limited offline in map size, functionality and detail. I like OSMAnd and after the very good user interface improvements in version 2, bought it for $8 to support the project. The main functional difference from the free version (I think is still) a limit to six full sized offline maps - which put Google's to shame - and to Wikipedia offline support. Both free and + supply large detailed or lightweight roadway maps, and have online support, and the interface is very configurable with a huge amount of functionality under the hood that I never use. I don't know why MapFactor rates recommendation above as the one and only OSM map interface. Free? Are you kiddin? No, its not. Navmii is a great offline sat nav app,I use it or Mapfactor Navigator. You are wrong. Here wego are not made by Nokia. It's past. Sygic is left out. ubelievable! My opinion is : Sygic , it just rules. Google map is the most detailed map available in google play store, and the most convenient. "Google Maps is an incredible service for traveling by car, train, bike or even walking. But there are many alternatives to it in the Play Store, some of which incorporate more advanced features or more accurate information. To find out which ones you can rely on, read on for our pick of the best Android GPS and navigation apps." So... Google Maps is an alternative to Google Maps? That's interasting!